This volume, covering twenty-five populist parties in seventeen European states, presents the first comparative study of the impact of the Great Recession on populism. Based on a common analytical framework, chapters offer a highly differentiated view of how the interplay between economic and political crises helped produce patterns of populist development across Europe. Populism grew strongly in Southern and Central-Eastern Europe, particularly where an economic crisis developed in tandem with a political one. Nordic populism went also on the rise, but this region’s populist parties have been surprisingly responsible. In Western Europe, populism actually contracted during the crisis – with the exception of France. As for the two Anglo-Saxon countries, while the UK has experienced the rise of a strong anti-European populist force, Ireland stands out as a rare case in which no such a party has risen in spite of the severity of its economic and political crises. The purpose of this paper is to analyze the continuities or the “elective affinities” between the recent populist wave (or populist come back) in South America and the current Occupy Movement in order to trace the contours of an original populism at a global scale. The article starts with a brief definition of populism, continues with a brief evaluation of the recent return of populism in South America finishing with the analysis of the main connections with the current Occupy Movement: the experience of a crisis; the claims for more democracy and the exploration of a postneoliberal political economy. In societies with obscene levels of inequality such as what exists in many South American countries, populism does not seem to be a heresy or a pathology, but a rational alternative to solve problems rooted in a failed nation building processes. Increasing indignation as a generalize perception of non-experienced levels of inequality in the concentration of resources and power at the global level is at the basis of one can call a populist moment. It has to be discussed, if this populist moment also contains an original populist movement with global contours inside. In today’s Europe, the word ‘populism’ usually refers to right-wing populism or the populist extreme right. Is, however, the concept of ‘populism’ the proper theoreticopolitical instrument through which such identifications should be perceived, categorized and debated? What are the implications (direct and indirect) of such a naming? 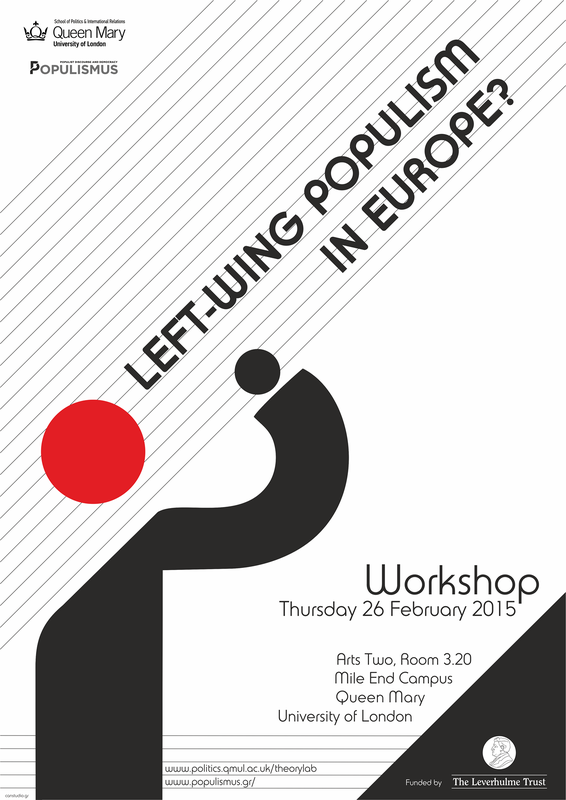 And what are the risks for critical analysis and for democratic politics in the European context? The hypothesis explored in this essay is that sticking to a restrictive association between ‘populism’ and the extreme right poses certain dangers that have to be seriously taken into account, especially in times of crisis. For a start, it is often premised on a rather simplistic euro-centrism that reduces the broad conceptual spectrum covered by the category ‘populism’ in its global use to a very particular European experience and then essentializes the resulting association, over-extending its scope. In addition, the category ‘populism’ is often used to describe political forces, identities and discourses in which the role of ‘the people’ is only secondary or peripheral, to the extent that it has to coincide with strongly hierarchical and elitist visions of society. What complicates things even further is that, within the context of the European (economic and political) crisis, whoever questions/ resists the austerity agenda – especially on the left – is increasingly discredited and denounced as an irresponsible populist. Indeed, it is not by coincidence that doubts are increasingly voiced both in the theoretical and in the political literature regarding the rationale behind such a strong association between populism and the extreme right. A series of points will thus be raised that may help us develop a plausible theoretico-political strategy in the new emerging conditions from a discursive perspective.